Summer Camp 2019 - M-F 9-3pm -all levels- Ages 7-13 - 7/8-7/26 (1,2,or 3 week options availble)***. Here at the conservatory fun is learning and learning is fun. There is no better time to have fun learning the performing arts than in the summer. Our summer camp is a 3 week intensive that includes a rotating schedule of 6 enriching classes and an exciting performance at the end of camp. All classes are taught by working artists with degrees from top conservatories and universities, who have performed on broadway, regionally, on tour, or in film. Acting uses exercises and fun scenes to teach classical acting technique that will equip students with the skills to think and execute like a professional actor. Film Acting uses real copy and sides from film and television to teach students how to act on camera. Students get teacher feed back along with the opportunity to watch them selves back on the screen to see objectively what their teachers were talking about. Improv is a hilariously fun class that teaches the invaluable skills of being a good scene partner, being able to think on your feet, and helps students bring a sense of confidence into any situation. Hip Hop is a high energy class that teaches this contemporary dance style to music the kids will instantly recognize. The uptempo and isolated movements worked on in class will help improve students pick up, coordination, and rhythm. Ballet/Modern is a more relaxed take on classical dance technique that will improve student's line, core strength, and foot articulation. Voice Technique uses classical exercises and relatable repertoire to teach students the foundations of sound vocal production; alignment, breath, and resonance. Song Interp: teaches students the craft of acting a song. 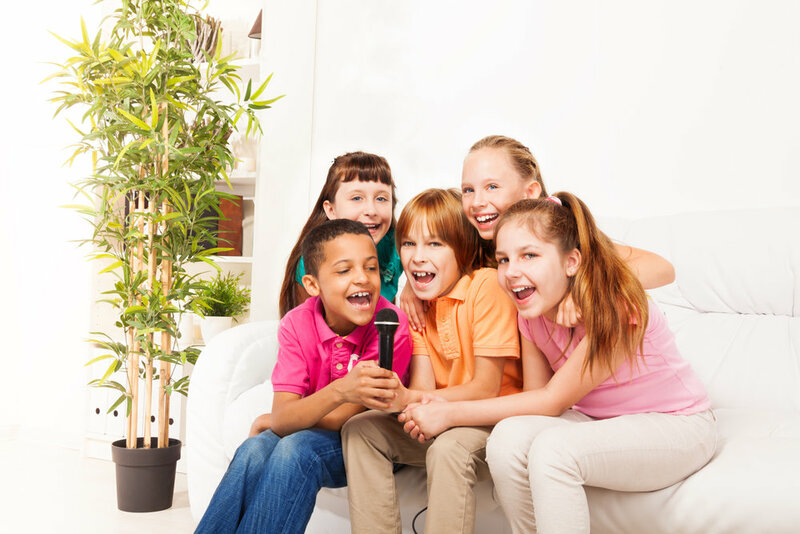 Students learn how to breakdown songs, make strong acting choices based on character and relationship, and how to actively communicate a song to an audience.